The MiM Book is out! 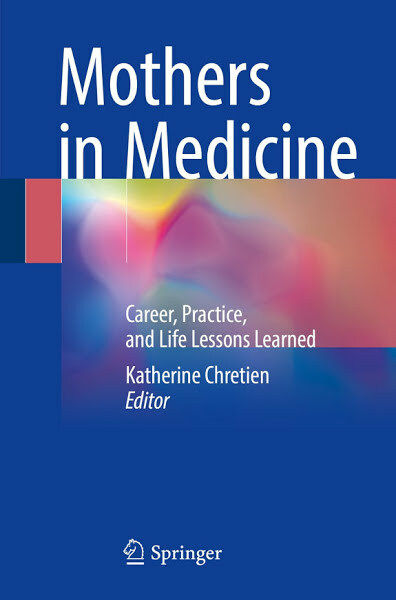 We are thrilled to announce that our MiM book "Mothers in Medicine: Career, Practice and Life Lessons Learned" is out! Written in the same conversational style of the blog, our authors address issues such as having children during training, practice considerations for the mother in medicine, negotiation skills, work-life integration, and challenges including divorce, financial hardship, and infertility, and more. We capture some of the wisdom "gold" mined from the blog over the past 9 years. We hope this can serve as a valuable guide for women at all stages of their career: from the premedical student wondering if she should go to medical school, to the practicing physician looking for support in balancing their multiple roles. 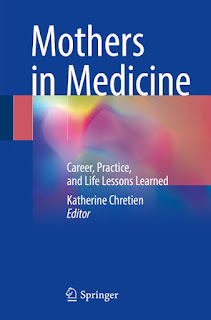 Chapter authors include MiM contributors T, Cutter, Genmedmom, Fizzy, Jay, m, Gizabeth, PracticeBalance, Emeducatormom, and Beckster. We also were fortunate to have authors with expertise in their areas write other chapters (e.g. an amazing student affairs dean writing with one of her former students, a thoughtful internist who chose to leave her job, private practice partners who learned to negotiate the hard way). Physician writer mom Danielle Ofri writes a lovely Foreword. Sprinkled throughout the chapters, we feature blog excerpts and comments - some of you faithful readers and commenters might find your comment included! You all helped make this book a reality. Thanks, as always, for being part of our community. *Springer, our publisher, has offered a 30% discount through a discount flyer that you can access through the tab "The Book" above. (They don't do discount codes apparently.) The discount is good through June 1, 2018.